HomeBlog ClassicConnecticut Insurance AgencyIs Life Insurance Right for You? Life insurance isn’t just for parents of young children. It’s a valuable resource for almost anyone. 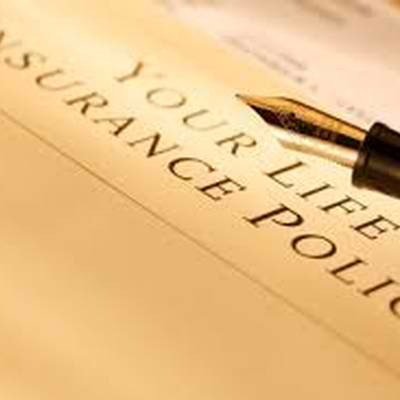 Before you dismiss life insurance as irrelevant, consider these factors below to determine when you really need to consider buying a life insurance policy. The National Funeral Directors Association calculates that the average adult funeral costs $7,095. By purchasing a life insurance policy, you cover that expense and give your survivors one less thing to worry about paying. After you die, certain debts, including your student loans, mortgage, credit card balances and unpaid medical bills, have to be repaid with assets from your estate. Money from your life insurance policy can cover these obligations and reduce the financial burden your family faces. How much money do you have saved in your bank, retirement or investment accounts? If those resources aren’t enough to pay for your survivors’ daily living expenses, purchase adequate life insurance and provide for your loved ones’ needs. If you could continue providing financially for your spouse even after your death, would you? Â Life insurance provides extra funds that cover living expenses, and it shows your spouse how much you really care. Whether you care for young children or aging parents, consider purchasing life insurance. The funds provide the care your loved ones need. Of course you can’t see into the future, but you can plan for the long term needs your loved ones will face, including college, medical treatment or housing. With a life insurance policy in place, you’ll provide for your family long after you’re gone. While life insurance is beneficial, it’s not a requirement. If your children are grown, your mortgage and debts are paid, and your spouse has adequate financial resources for a comfortable retirement, you may not need a life insurance policy. However, strongly consider purchasing a policy if you think that your survivors will need this financial resource. Contact Tracy-Driscoll today at 860-589-3434 to learn more about life insurance, and of the different policy options that are available. You’ll gain peace of mind, knowing that your loved ones are protected now and for the future.